Yesterday I was doing a little exploring in a new-to-me Billings neighborhood and I drove down a dead-end road on the outskirts of town. There sits, as my friend Ginny Mermel describes it, the “second worst trailer park in town” – muddy roads with thawing snow, dilapidated homes, rusty cars and many young residents based on the school bus just turning around after dropping off students for winter break. While most children are excited about a two-week vacation with holiday celebrations and presents under the tree, winter break has a whole different meaning for kids who live in poverty. It means two weeks without school meals – two weeks without the guarantee of a hot breakfast and lunch every day. 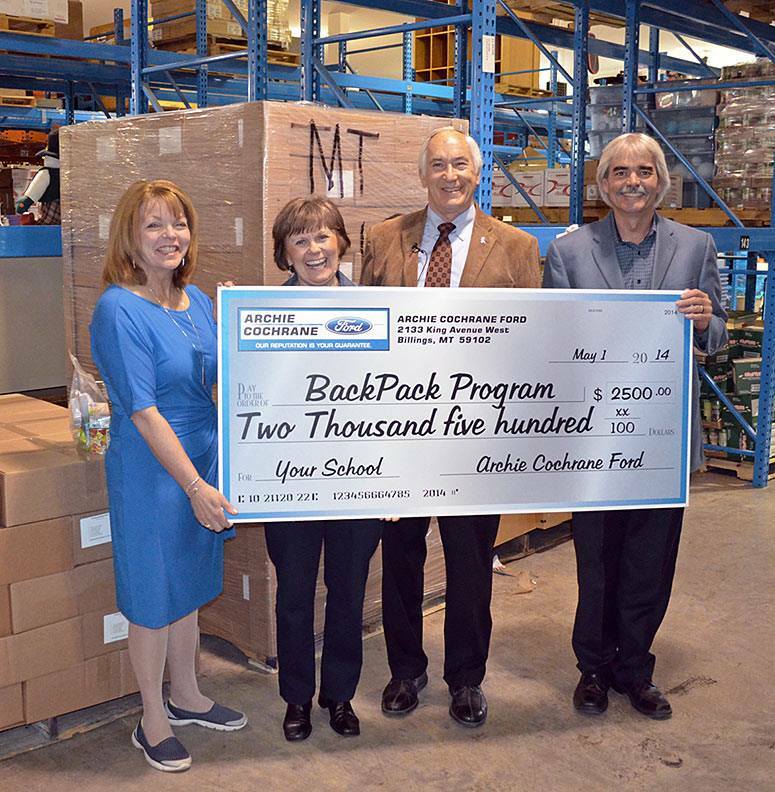 Thanks to my friend and colleague, Virginia ‘Ginny’ Mermel (far left) and the Billings Public Schools BackPack Meals Program, the situation is not as bleak as it could be in our community. While I see the work of Billings Public Schools BackPack Meals Program and Teen Food Pantry Program personally, I know that thousands of schools and other volunteers work year round to bring healthy food to families in need. Here are two of the many recent Facebook entries that impressed me. 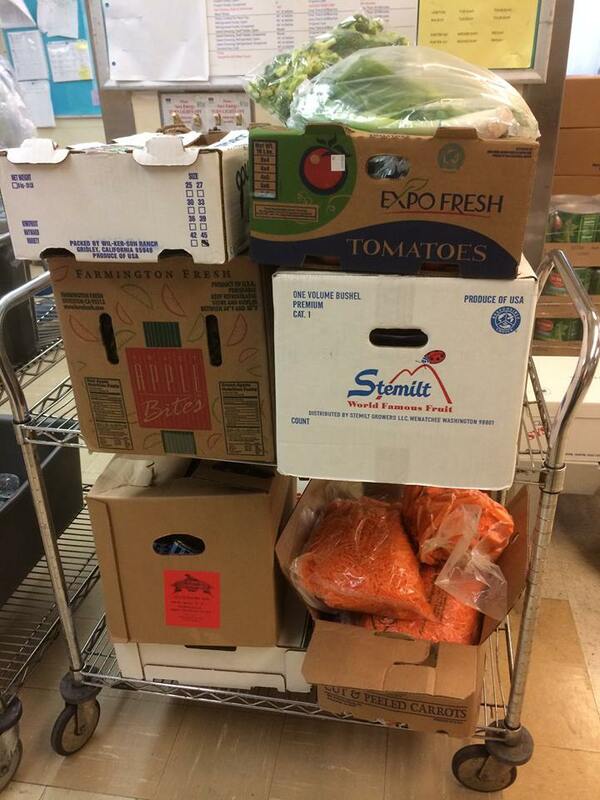 The San Diego (CA) Unified School District Farm to School Program posted this photo on the Friday before their break: “Since today was our last day of school before the 2 week winter break, we donated our leftover fresh produce to 11 San Diego food rescue agencies including Feeding America San Diego, Bayview Charities, various churches, mental health agencies, etc.! Trying to do our part to help those in need.” Rather than letting beautiful produce go to waste, they made sure that it went to those in need. It’s not too late to make the holidays better for hungry children in your community. 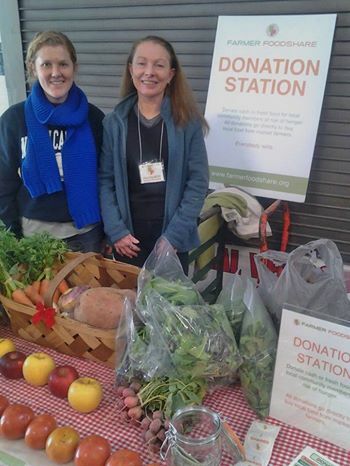 Wherever you live your local donation station is as close as a food bank, food pantry or mission. Confused about what to donate? 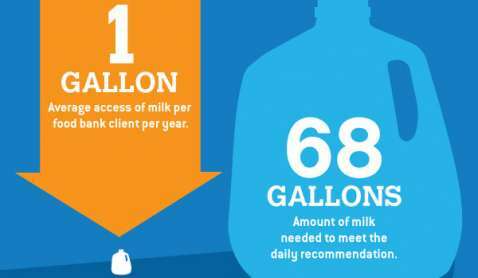 How about MILK – one of the most requested, least donated food items? You can donate milk directly or through The Great American Milk Drive. Thanks to America’s Milk Companies and Farm Families, you can help fill the milk gap – and have your donation matched gallon-for-gallon. Honestly, it doesn’t get much better than that! This entry was posted in Uncategorized and tagged backpack program, Childhood hunger, food donations, FoodCorps, FoodCorps North Carolina, Montana Food Bank Network, No Kid Hungry, teen pantry by schoolmealsthatrock. Bookmark the permalink.